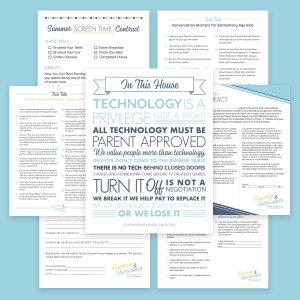 The Tween and Teen Technology Contracts Printables Bundle can help reduce the teen/parent conflict around technology use and help teens manage their digital lives responsibly. 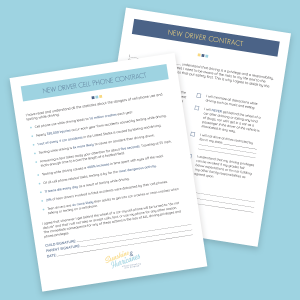 Includes cell a phone contract, social media contract and no texting and driving contract. 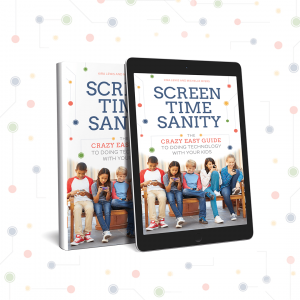 Make doing technology with your tweens and teens CRAZY EASY! Stop the battles, the worry and the guilt. 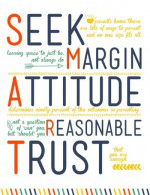 By setting boundaries and establishing expectations, it gives your tween or teen helpful guidance for managing technology in a responsible and thoughtful way. Contracts may seem formal for your kids, but you’ll be surprised how much they can cut down on teen/parent conflict. When the rules are clear, there is little room for argument. AND contracts open up important conversations parents needs to have with their kids about today’s technology. 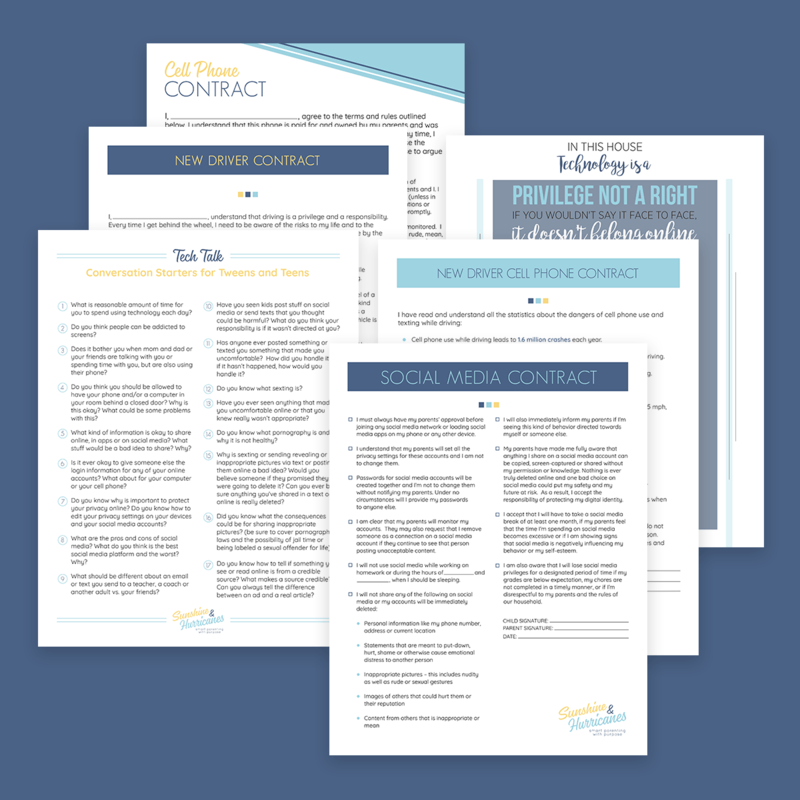 While these contracts can help start the ongoing dialogue that should be happening between parents and their tweens and teens, they don’t cover all the areas you need to be talking about with your kids. These can be tough conversations to have with your kids, so let us help you get them started.